Blouse in warm, golden colour. It will fit perfectly under the jacket from the same series – Canaries. Designers are increasingly creating clothes that consist of several layers. Such elements of clothing give an interesting visual effect. 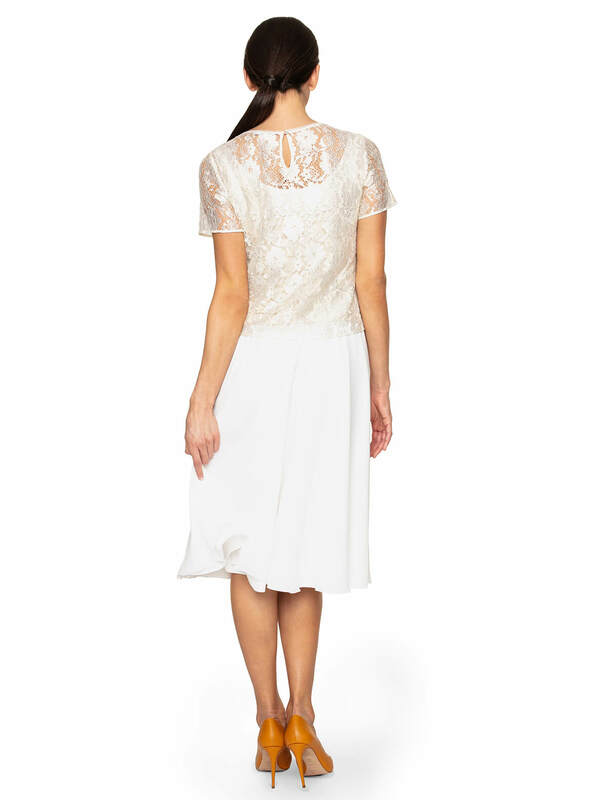 Canaries has an opaque layer, which is covered with a thin lace fabric. 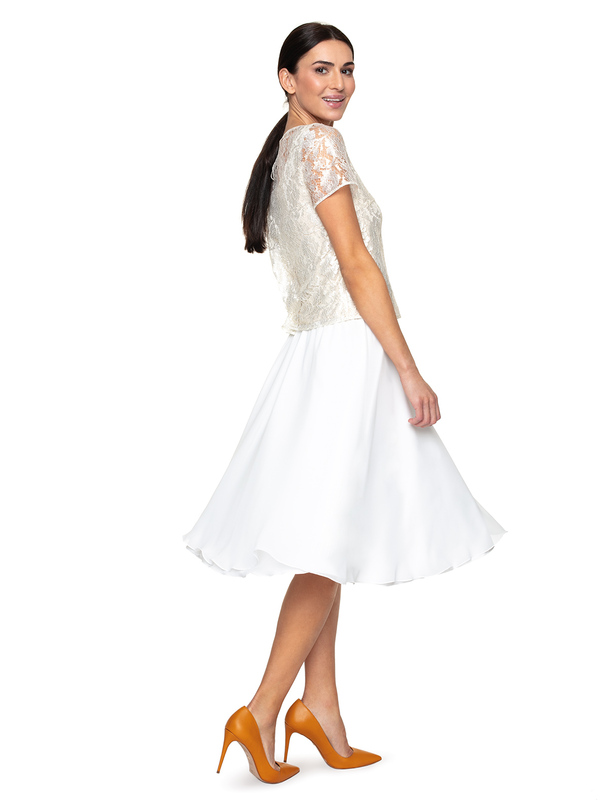 The blouse has a round neckline and short sleeves. It is finished with a shiny piping. Canaries sleeves and neckline are semi-transparent. Monochromatic, with a jacket and skirt from the Canaries series. 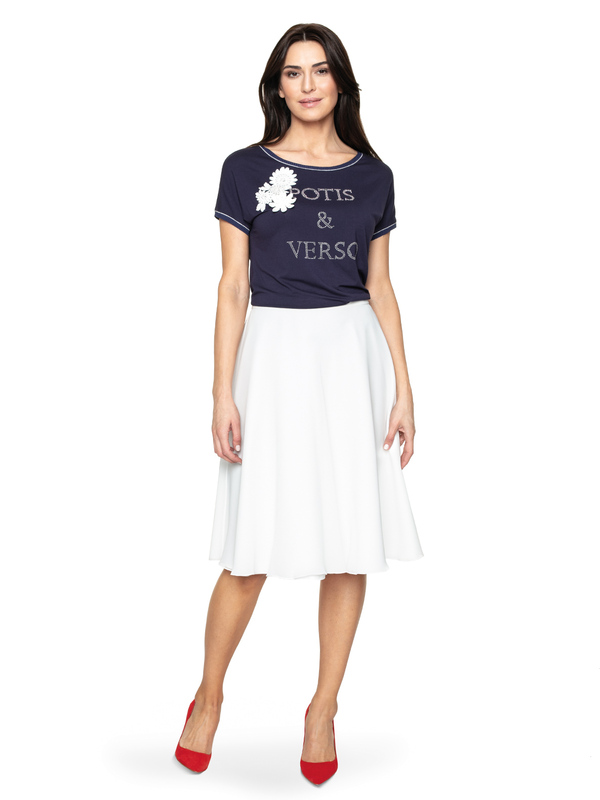 You can also style a blouse with a folded skirt from the same Potis & Verso collection. Match the set with honey-coloured high-heeled shoes. Decorate your exposed hands with gold-plated bracelets.